I can get someone else for less money. Inexperienced or ignorant people do not understand the differences between physicians. They assume a doctor is a doctor is a doctor. They do not understand the difference between a pathologist and a proctologist. This is the kind of logic used by a decision maker that assumes that there is no difference in interim executives and places the first and/or cheapest resource they can find in an effort to get someone, anyone with a heartbeat into a position. 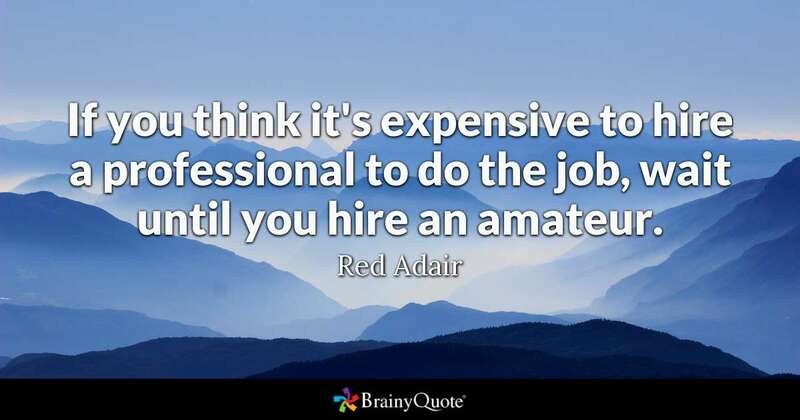 The pertinent question in this situation is what is the cost of failure and how small is this cost as a percentage of the difference in the cost of the cheapest resource available vs. a competent, experienced advisor. I followed an interim CFO in a hospital that had somehow managed to miss a growing over-valuation of accounts receivable that ultimately led to a write-down of A/R in excess of $50 million and a number of executives including the CEO of the place losing their jobs. Maybe the CEO should have looked at my article on how to avoid getting whacked. In my experience, hiring decision makers rarely account for the personal career risk they may be taking by thier involvement in bringing an interim aboard. Previous What does it cost? As a Board of Trustee member of a hospital that just engaged Dr. Snead as an interim CEO March through August 2018 – he was worth every penny we paid him. He is correct. He will negotiate.